One of the best things about pergolas is they are customizable. Many people leave their pergolas plain without any extra decoration, but a pergola can look just as good when it is surrounded with vines, plants and flowers. That said, not all vines are created equal. If you’re looking for the best plants to accent and shade your vinyl pergola, look no farther! A classic choice for gardens, climbing roses make an excellent accent for a vinyl pergola. They come in many colors to match your particular style, and they’re relatively hardy and easy to care for. 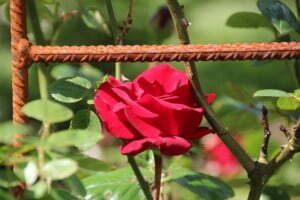 Roses climb best on a lattice, since they do not self-adhere to surfaces. This means they will probably require some training and pruning to climb where you want them. Roses also have lots of thorns, so you’ll have to be careful working with them. However, the results are definitely worth the extra effort. If you don’t like the look of roses but still want a large and fragrant flower for your pergola, bougainvillea might be a good choice. This hardy vine will grow many small bunches of beautiful flowers throughout the growing season. 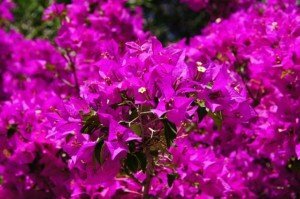 Bougainvillea flowers also grow in many colors, allowing you to choose the type that works for you. Bougainvillea is a good choice for Dallas pergolas due to its relatively strong frost resistance and its need for lots of sun. However, like roses, bougainvillea plants will need training to climb where you want them and also require regular maintenance. And also like roses, bougainvillea plants have lots of small thorns that can make them difficult to work with. 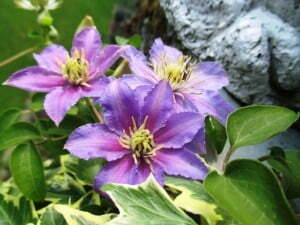 Another popular choice for a climbing flower for vinyl pergolas is clematis. With many varieties and colors to choose from, clematis is one of the most varied and beautiful choices for a climbing plant. Though it isn’t quite as hardy as roses or bougainvillea, it is a fast and adaptable climber that will add a gorgeous accent to any pergola. The biggest advantage of clematis is its self-clinging ability. Unlike roses and bougainvillea, clematis vines will twist around and hold themselves to anchor points like lattices, fences and columns or pillars. They grow quickly and thrive in the sun, though it’s important to keep their roots cool and shaded. Clematis plants are also somewhat more susceptible to pests than other climbers, so you’ll need to pay attention to them and make sure they’re healthy throughout the year. 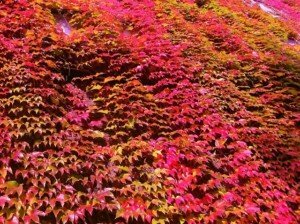 If you’re searching for a climbing vine to provide a thick, leafy shade cover without too many flowers, virginia creeper is an excellent option. This hardy and fast-climbing vine will happily scrabble up almost any surface. It also features some brilliant fall foliage to serve as a late-year accent in your garden without needing lots of care. Virginia creeper is an especially good choice for vinyl pergolas due to its manner of climbing. Unlike other vines, Virginia creeper uses small adhesive “disks” that stick to smooth surfaces, allowing it to climb virtually any surface. And there’s no need to worry about damage – the disks will lose their grip and degrade if the stem of the plant is cut first. Virginia creeper is also very hardy and will grow well in most climates, and it will also provide lots of shade underneath a pergola throughout the year. Unfortunately, not all plants are a good choice for vinyl pergolas. Some climbing plants are more trouble than they’re worth. They can cause damage, overrun your yard, or swallow up the rest of your garden. If you’re thinking of planting any of the following climbing plants, you should reconsider. While both Chinese and Japanese wisteria vines are extremely good climbers and feature lots of beautiful flowers, they are also extremely troublesome in most gardens. The vines themselves are difficult to control and have been known to push apart fence panels, climb behind siding and pull down gutters. They also require lots of maintenance and don’t always grow well in the South. Furthermore, Japanese and Chinese wisteria are listed as invasive species in Texas, meaning they have the potential to outcompete and damage local plants. 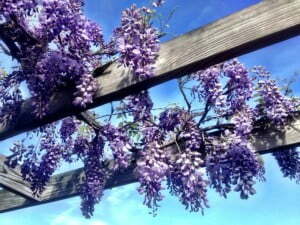 A better choice is the more docile American wisteria, which is less vigorous and makes a better garden plant. Another invasive species, Japanese honeysuckle is similar to Asian wisteria varieties – it grows quickly, climbs extremely well, and is capable of smothering other desirable plants in your garden if left unchecked. 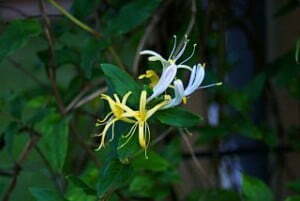 Japanese honeysuckle is difficult to control even with regular pruning and maintenance since it tends to spread quickly and grows via both its roots and stems. Good alternatives to Japanese honeysuckle are the native trumpet honeysuckle or trumpet creeper, both of which are easier to control and not as likely to smother your garden. They will still require some maintenance but aren’t likely to damage your property. 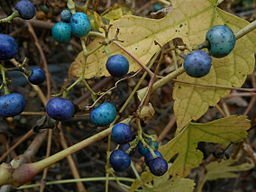 Porcelain berry is an exotic vine growing in popularity with many gardeners due to its unique and striking berry clusters. However, porcelain berries also climb quickly and are hard to control. Further, their famed berries easily germinate into new plants, making them difficult to control. Unlike wisterias, the chief danger of porcelain berry isn’t destruction but simply competition. Porcelain berry will quickly outcompete other plants in your garden and either smother or choke them out. Even though they’re pretty, it’s best to avoid this vine altogether. Though English ivy has long been a popular choice for a shade plant, it’s not always a wise one. That’s because, unlike American vines like Virginia creeper, English ivy tends to damage structures with its roots and vines and is capable of taking over entire gardens when left uncontained. 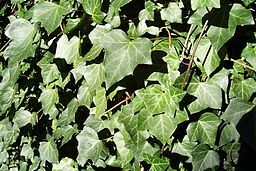 Unlike Virginia creeper and its adhesive pads, English ivy anchors itself with aerial roots, long tendrils which grasp onto surfaces. Over time these tendrils have a tendency to damage structures. English ivy also tends to act as a groundcover which can lead it to swallow up garden spaces over time if not kept in check. And since it is listed as an invasive species in many states, it may be better to stick with the faster-growing but more trainable Virginia creeper instead. 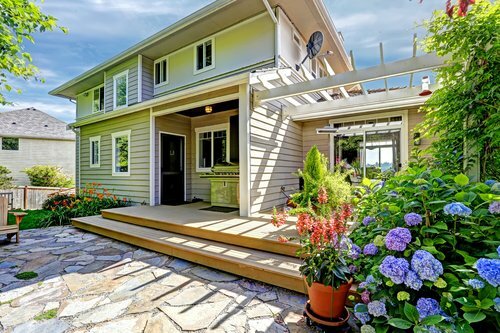 For more tips on beautifying your backyard and adding shade to your home or garden, contact us today at Future Outdoors in Dallas. We’re Texas’s experts in vinyl shade structures including pergolas, gazebos, cabanas and more. Call 972-576-1600 to speak to one of our vinyl experts, or follow us on Facebook for more helpful tips!